I painted a chalkboard racetrack as a chair-rail in one bedroom. I painted a plain old chalkboard on the wall of the art loft. For a gift one time, I painted flower pots and labeled them with names of different herbs. And I even started growing those herbs from seeds. 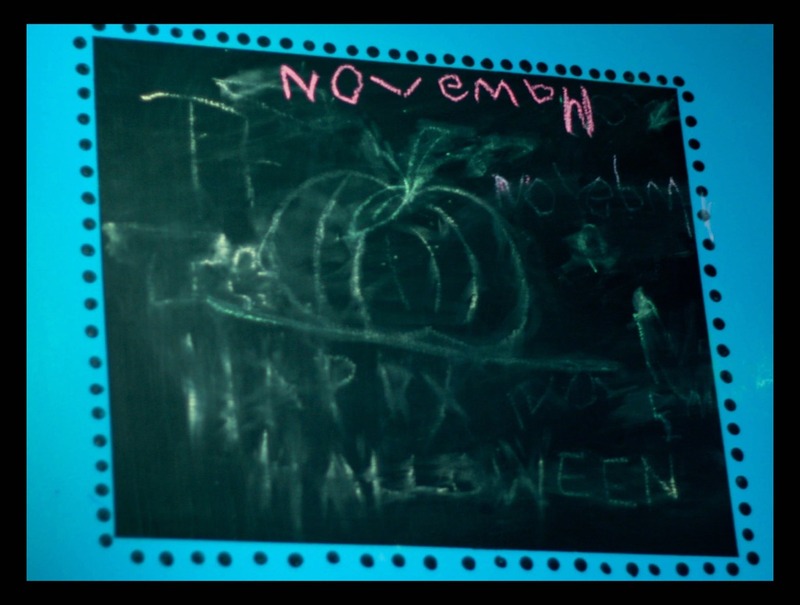 So when I was thinking of my favorite crafts, I thought of a few things that I could do with chalkboard paint. but I know that you can buy it in small 2oz. bottles and as spray paint as well. that are less messy and less likely to smudge and smear. My first (and maybe my favorite) of the chalkboard crafts: party glasses! b) always know which cup is yours! 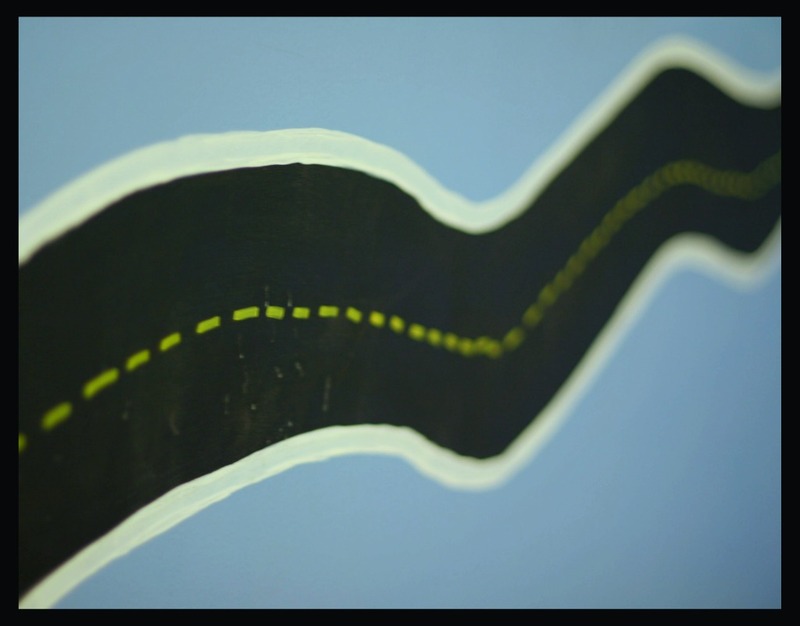 Use painter’s tape to mark off a rectangle on the glass. Use a small piece of coarse sandpaper to roughen up the part you are going to paint. Paint it with chalkboard paint and let it dry. Repeat. Repeat again. Repeat again and again until it’s dark enough. Now is the optional step: I decided to bake my glass pieces at 350º for about 10 minutes. I can’t prove that it makes it set, but it surely does seem like it helps. Just don’t over-cook them because the glass can break if it gets too hot! Now just don’t forget to keep pieces of chalk on hand for parties! I’ve also found that my kids love using these glasses. Other times they just like having their name on their cup! I found a simple frame I had in my junk pile. At some point I’d put corkboard on it and used it with thumbtacks. So I took that out and painted the back surface to make a new chalkboard. and I wanted somewhere to put it so that it would be easily changed each week. If I didn’t already have a place to put my weekly menu, I’d probably make another one for that, too! Trying to use what I already had at home, I also decided it would be fun to do a candle. 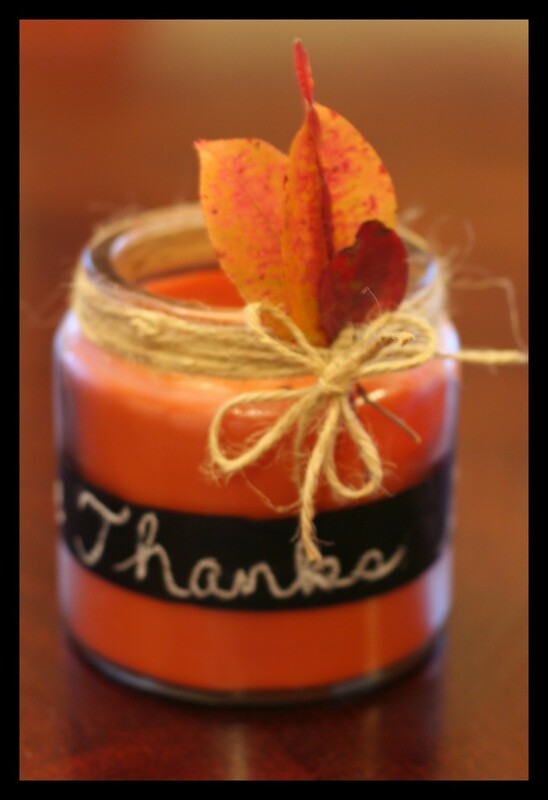 I had a store-bought pumpkin candle and decided that for Thanksgiving I wanted it to say “Give Thanks”. So I used painters tape to make straight lines all the way around the candle holder and painted a thick chalkboard line. And finished it off by adding a few leaves and sticks for fun! but you can go here and find more really great Christmas candle ideas. But I never stop hearing about how great Mrs. S, Mrs. F, Mrs. H and Mrs. R are! My kids are constantly making little creations and cards and “love notes” for them. I imagine I’m going to be collecting a lot of these straight-from-the-heart pieces of art. I took small tin cans that I had left over from last Christmas and painted the entire surface with chalkboard paint. After painting it, I used my hot glue gun to adhere a ribbon around the base of the box. Then I let the kiddos write on the top and that’s it! All done! Wouldn’t it be fun to do one of these for family members? And whenever (s)he has a bad day, just one peek into the love note box will make him/her feel better-even if just a little bit. Don’t forget that with the chalkboard top, you can even change the “note” on top to fit any occasion! Thanks for linking to Dollar Store crafts! 🙂 You have lots of great ideas here! I love the chalkboard paint chair rail – my boys would LOVE that! I saw the canisters at Pier One but I got them at WalMart because they were much cheaper. I love the idea of adding chalkboard paint to them.